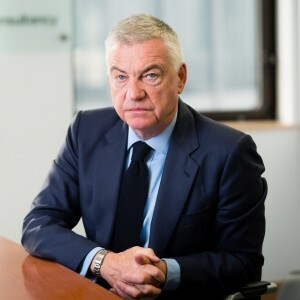 David Burnside is Chairman of New Century and one of the leading reputation managers and campaign experts in the United Kingdom. David was the Member of Parliament for South Antrim from June 2001 to May 2005, during which time he served on the DEFRA All Party Select Committee. From November 2003 to May 2009, he was a Member of the Northern Ireland Legislative Assembly at Stormont. Prior to entering Parliament, David was Director of Public Affairs for British Airways from 1984 to 1993, a position that included responsibility for the airline’s global marketing and public relations activities during its highly successful privatisation programme. As Director of Public Affairs, he was responsible for worldwide public affairs that included all press and media relations, City and financial PR, parliamentary lobbying activities and internal communications. Between 1978 and 1984, David was Public Relations Director for the Institute of Directors, a period in which the Institute rose to considerable influence as the United Kingdom’s leading business organisation. David is a founding member of the Constitution Reform Group, a cross-party advocacy group which is calling for a new constitutional settlement to guarantee the rights and autonomy of England, Scotland, Wales and Northern Ireland within a reformed UK under a new Act of Union. A native Ulsterman, David is a graduate of Queen’s University, Belfast.